VMware’s Support Life Cycle begins on the general availability date of the product when released to the public. What is the difference between End of Life and End of Availability? End of Life is the point where the product will have no further support (no fixes, no updates, no technical guidance). End of Availability is the point when the given product or version will no longer be available. The product line may still be supported, however older versions will no longer be available for download. Why upgrade? Everything runs smoothly at the moment. If you are going to use new hardware you may run into a not supported configuration issues because drivers won’t be updated for the ESX software in the Extended Support period. Also new guest OS updates may or may not be applied, and bug fixes are limited to critical issues. According to VMware: Critical bugs are deviations from specified product functionality that cause data corruption, data loss, system crash, or significant customer application down time and there is no work-around that can be implemented. So make sure you have the latest Update running on the Virtual Infrastructure, which means Update 5 for ESX 3.5 and Update 6 for Virtual Center 2.5. or even better start planning and move to VMware vSphere 4 now! 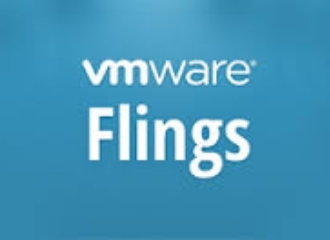 New fling AND a pass for VMworld 2014?